What a difference a few changes in this Chelsea Heights home have made. The art work now suits the scale of the sofa. The rug helps to anchor and zone the room. Appropriate accessories complete the look. Personal items like family photos were removed. The space looked cluttered because there was too much going on. The inside of the buffet was decluttered. the dog bed had to go- at least for the photos and open for inspections. This room in Edithvale was mainly used as a (second) office. An additional bedroom usually adds more value. This bedroom shows what a difference crisp white bedding, lamps, accessories and artwork can make. The storage ottoman in front of the bed was removed. The room looks more spacious without it. 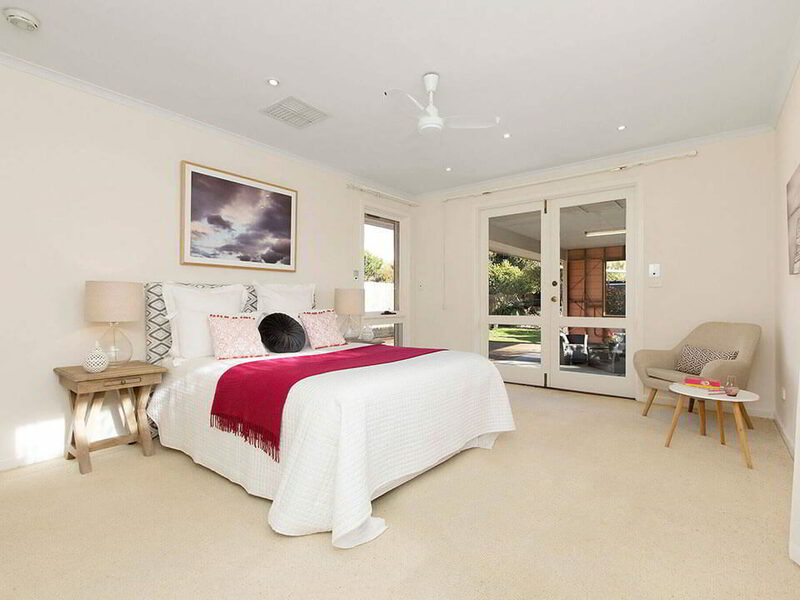 Keeping the target buyer in mind: A bright kids' room for this Aspendale family home. Timber wall paneling can date room but it is not always possible to paint over it. Using lighter, brighter colours can make a huge difference. The single bed was replaced with a double which makes the room look bigger and more functional. In this Aspendale beach side rental property the empty rooms were staged with everything the owner brought in. I picked the most suitable bedding, cushions etc. and staged it. There was so much more interest in the property afterwards.